Hello friends, it’s Smitha here sharing a watercolor rainbow with you today! This is the easiest art that anyone can create! No special skills required. Journal, sketchbook, or any kind of paper! There are no steps to creating this art really. It’s all about having fun with color! 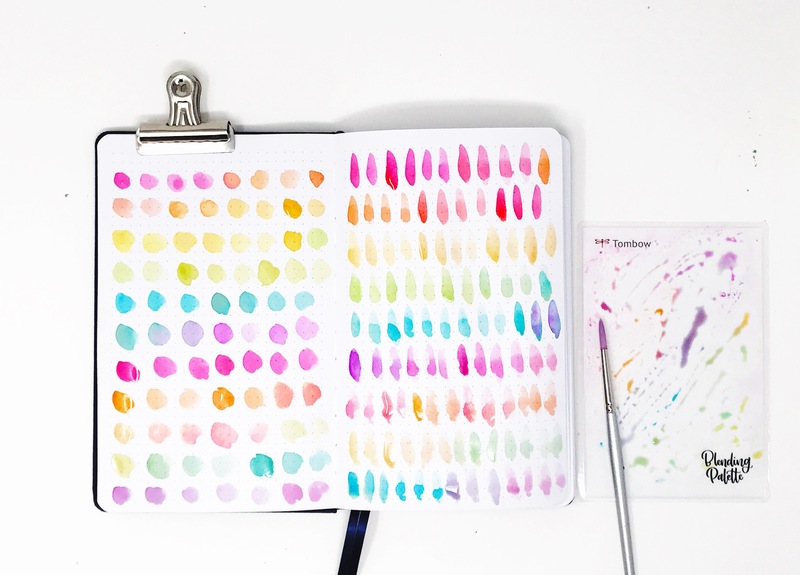 Scribble your Dual Brush Pen colors onto the Blending Palette. The Blending Palette will help us mix our colors to create new hues easily. Dampen your paintbrush, pick up a color off of the Blending Palette, and paint a circle. Repeat. 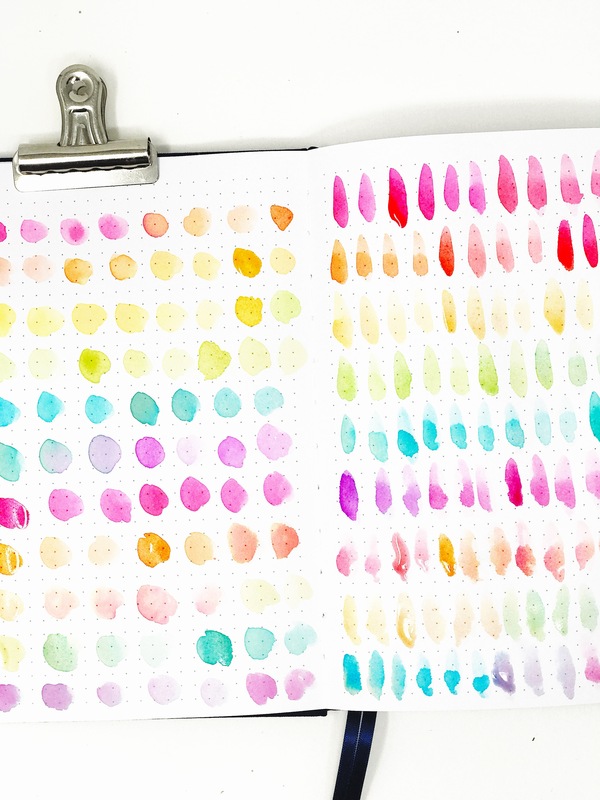 Pick up and mix a new color each time to create a slight color variation between the circles. I absolutely love how all the colors look on the paper. Not only is this pretty to look at, it is so calming to create. 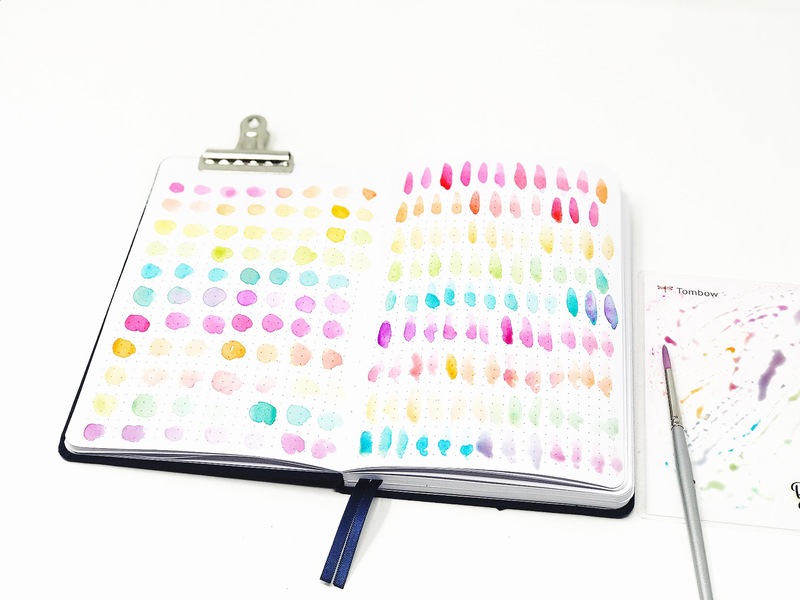 Also, since we are picking the color off of the Blending Palette, you can choose to use any paper to paint on. You don’t really need a thick watercolor paper here. For the other side of the paper, I chose to paint lines instead of circles. These are basically brush strokes. The unevenness adds to the hand-painted feel. You can paint any shape over and over to fill the page and have fun. 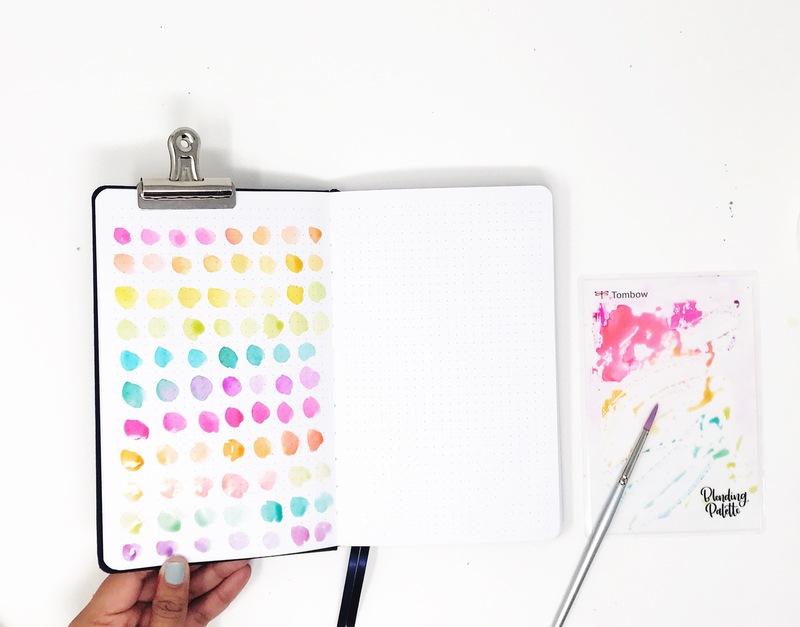 Create a little rainbow art of your own! This is also a great way to warm up before painting something bigger. You can practice your brush strokes and get a feel of how the colors you have mix and blend together. I hope you enjoyed this tutorial friends! Happy crafting!